Prince Mobida coaches golf to over 60 children in Soweto. In a community where golf used to be inaccessible, Mobida is giving them a chance to swing at success. For children used to the fast-paced thrill of soccer, golf can be pretty boring. This left Prince Modiba with a challenge: how do you get kids interested in the sport? When he began coaching youth in Soweto, he had to build their curiosity and skills from the ground up. But Modiba managed to pique their attention, motivating the kids to come back and learn more. 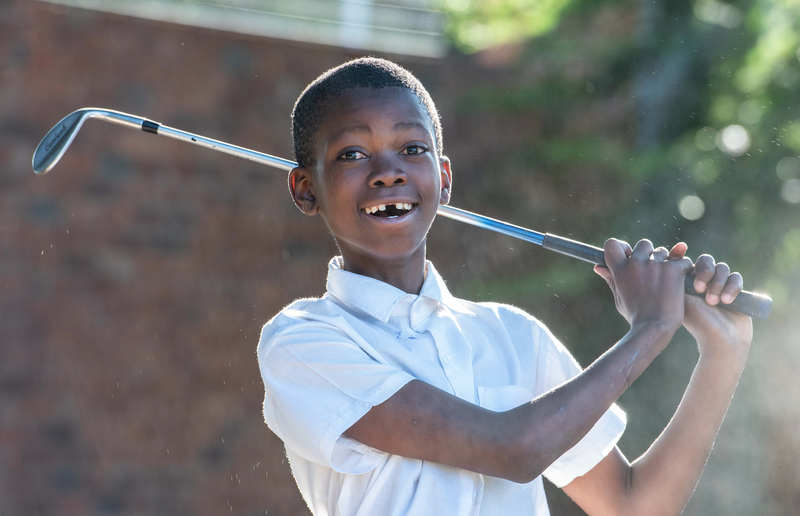 In a community where golf used to be inaccessible, Modiba is giving them the chance to swing for success. Growing up with a professional player for a father, golf was central to Modiba’s childhood. “I knew golf was going to be a big part of my life when I won against my dad,” he says. Modiba worked his way up to becoming a PGA professional. But he saw how it was mostly those with money who could take to the greens. So Modiba decided to open the doors for youth to access the game with the Andrew Mlangeni Golf Academy. Founded in 2015, it’s the first of its kind in Soweto. “I came down here to bring my expertise and skills,” Modiba says. He coaches over 60 children, enhancing their capabilities in the sport. Today, they compete in tournaments countrywide. “Some of the guys around Soweto have never been on a plane, so already it’s changing lives,” Modiba says. While they are reaching new heights, Modiba and his team still face challenges. They’ve had to cut down the size of the academy due to a lack of funding. But the children always show up with the knowledge that they’re not just becoming golfing pros, but growing as individuals. “It’s amazing to see the willingness and determination from the kids to come through,” Modiba says. With his mind set on creating equal opportunity, Modiba is driving our youth to promising futures.